Last weekend Alli and I went to Paris. We had a fantastic time, an absolutely perfect trip. I’m going to review several pieces of the trip in separate blog posts, starting with this one. We would only be in Paris for a long weekend, and we wanted to leave room for random food exploration, so I only actually made one fancy dinner reservation in advance. It was at Pierre Gagnaire, and I’m very happy with that choice. Choosing a restaurant in Paris is not easy at all, as you might imagine. Restricting the search to restaurants with 3 Michelin stars certainly narrows down the options, but you might be missing on other great places. Nonetheless, looking at the list, I wanted to choose something that is more creative and fun than most of the classic French cuisine places. La Tour d’Argent, Taillevent, Grand Vefour, Alain Ducasse, L’Arpege, etc, all have their place, for sure. I’d love to check all of them out on future trips. It came down between Pierre Gagnaire, L’Astrance, and Joel Robuchon on this trip, and PG won for non-food reasons. We had a fantastic time. Although there are other options around themed menus, we went with the general big tasting menu. Everything was delicious. The chef emphasizes combinations of flavors that might not otherwise go together. It’s not molecular gastronomy and not presented as such, but it’s not really classical cuisine either. It’s something in the middle, and it works amazingly well. The menu is long, complicated, and fancy. My French is limited mostly to normal stuff you’d say on the street, so I did not know many of the ingredient names or related verbs regarding how they were prepared. Thankfully, the staff, complete with a Maitre d’ with an amazing mustache, were super helpful. In fact, service was world-class all-around, from the moment we stepped in until the moment we left. All the servers were attentive, friendly, super-professional, never missed a beat. The maitre d’ checked in routinely and helped explain dishes. The wine folks were helpful as well. The food itself was absolutely delicious. Some of the flavor combinations, like blue lobster with cream-of-spider-crab sauce, totally rocked. Creamed escargots shined as a side decoration on one of the plates. The meats towards the back end of the meal were tasty, succulent, juicy, and delicious. Desserts were light and airy, yet satisfying. Overall, it was an extremely well-balanced meal. No misses at all, and a few extraordinary dishes. The service is what you would expect at this level. The wine list is full of interesting choices, and (pleasantly) includes a whole range of prices. A lot of small-production wines, which are very hard to find elsewhere. 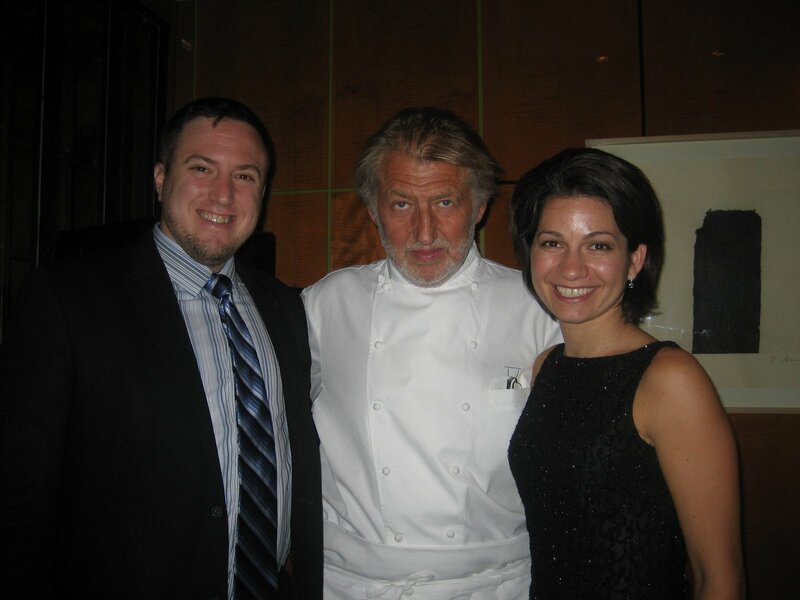 I would place Pierre Gagnaire, the restaurant, in the top 10 places we’ve ever eaten. That said, it’s not as fun as Alinea, and probably below Per Se and Dal Pescatore. It fully met my expectations, and they were very, very high.